We handle the not-so-fun (but necessary) details, so you can do what you do best – business. We want to help you grow and make your vision a reality. Compliance and employee issues might not be your expertise – and they shouldn’t be. We offer customizable solutions to fit your needs. Once a valued client, we handle your payroll, benefits enrollment and comprehensive benefits packages, compliance/risk management solutions, HR issue processing, and much more. The Applied Companies will work closely with you to develop a customized plan designed to meet your business goals and the needs of your employees. Our team of human resource and payroll experts work directly with you to ensure your business is running right – which is just how YOU want it. The HR/Benefits division of TAC operates as a Professional Employer Organization (PEO). 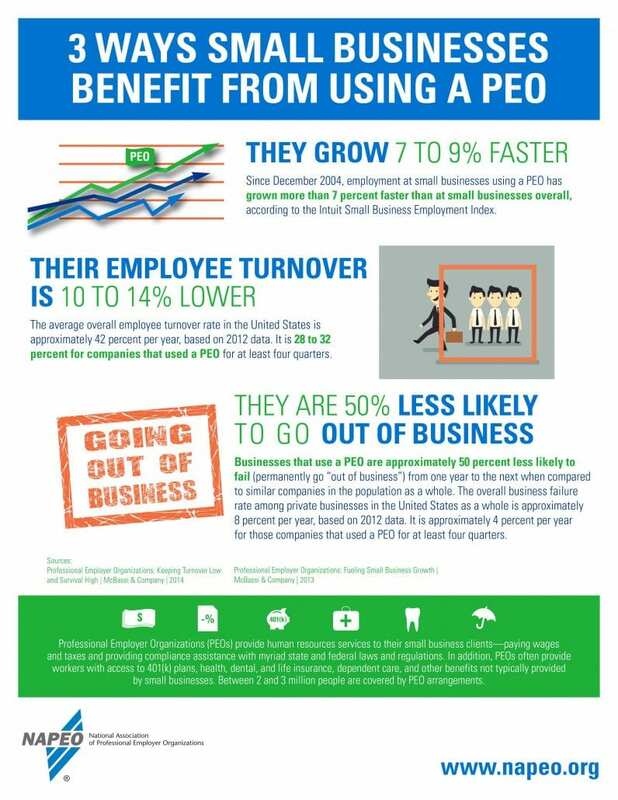 Companies that work with a PEO grow 7-9% times faster, experience 20% savings, and are 50% less likely to go out of business than companies that do not. Work with us to watch your business grow and save.